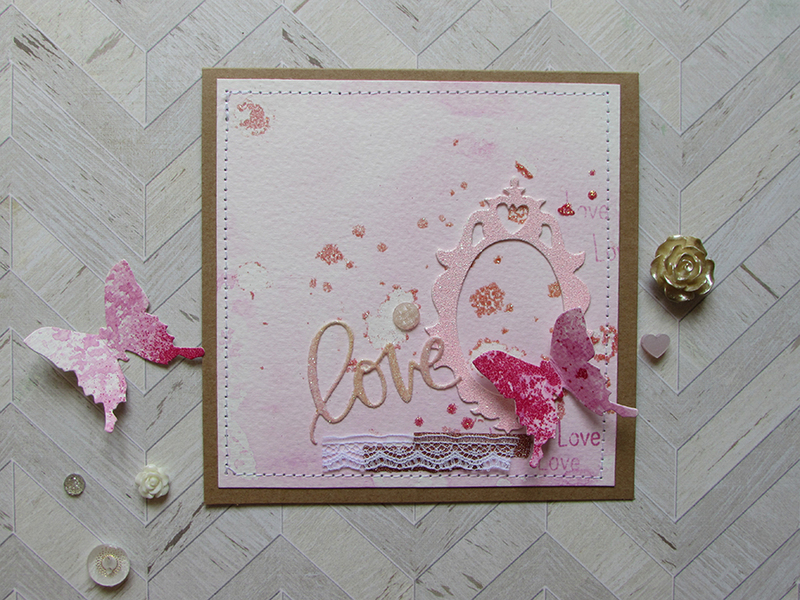 I’m not sure the words ‘pastel’ and ‘love’ have been used much in my vocabulary but when I saw that the theme for the month at WOW! is Pastels, of course I had to embrace it. I created these two projects, the second one up on the blog as a tutorial, and I think I can honestly say, pastels are my new love – well until the end of Easter anyway! 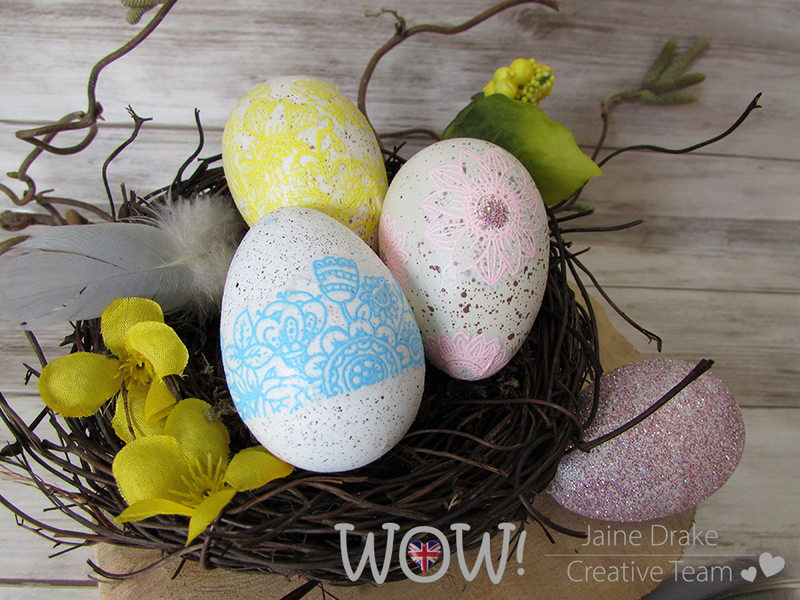 Catch up with the latest pastel creations and find out how I made the above decorated eggs by visting WOW! Embossing here. Wow, December 1st has arrived and it’s time to start bombarding social media with Christmas makes!! My work table looks like a bomb has exploded in my studio, seriously!! I have to vacuum the floor every day to pick up the glitter before the animals tread it through the house on their paws! 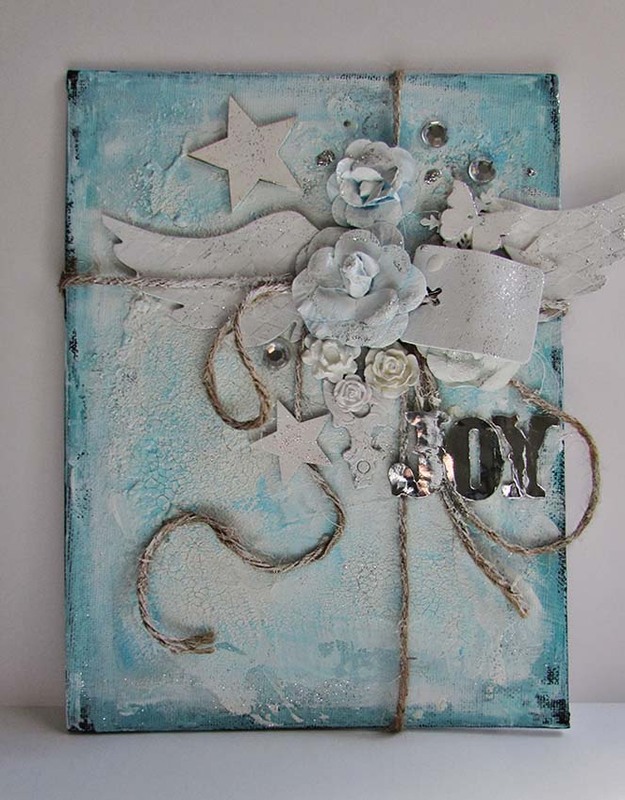 Last weekend I hosted a workshop for the Mozaik ladies where we made a Winter themed canvas. We had a wonderful day and I have to say it’s the first time everyone actually finished a project from start to finish so I’m hugely proud of all of them. I’ve been promising the ladies for quite some time now a mixed media canvas project and for one reason or another we’ve never quite taken it on. So I was determined this time to go for it and throw all sorts of materials and techniques at them and they really embraced the theme. Every one of them produced something wonderful which made me very happy. As it’s the first of the month, that means a new WOW! 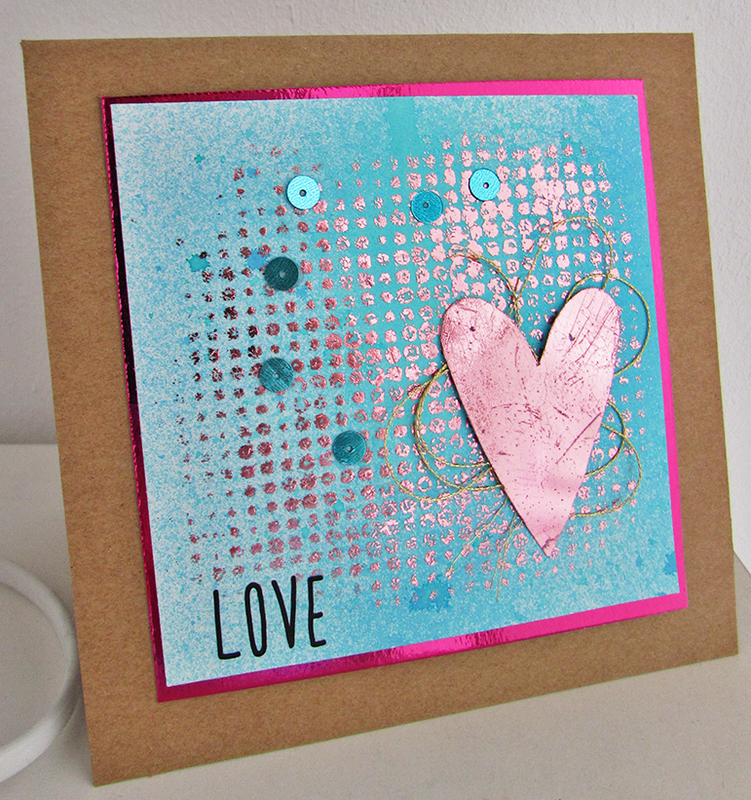 Embossing Powders Facebook Challenge and the final theme of the year is Silver and Gold. 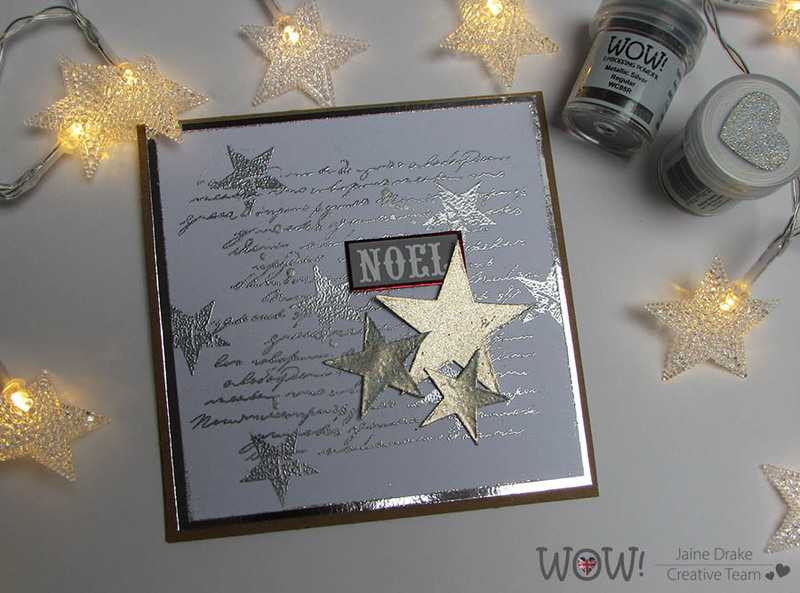 I brought out my favourite stamps, which I use every year without fail (everyone has their favourites), the script stamp is from IndigoBlu and the star is a wood mounted one from Stampers Anonymous and paired them with Metallic Silver and Atlantic Seaspray Embossing Powder from WOW!. Right now I’m crafting myself silly preparing for a Christmas Market where I’ll have a small stand. Have a good weekend and I’ll be back soon. 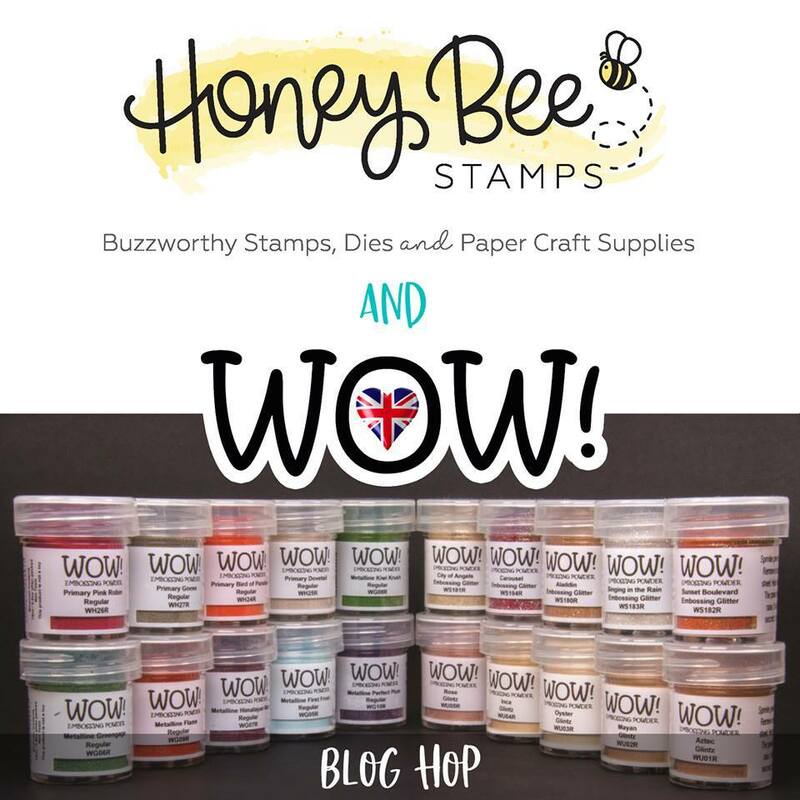 Today two amazing companies are teaming up and invite you to WOW! 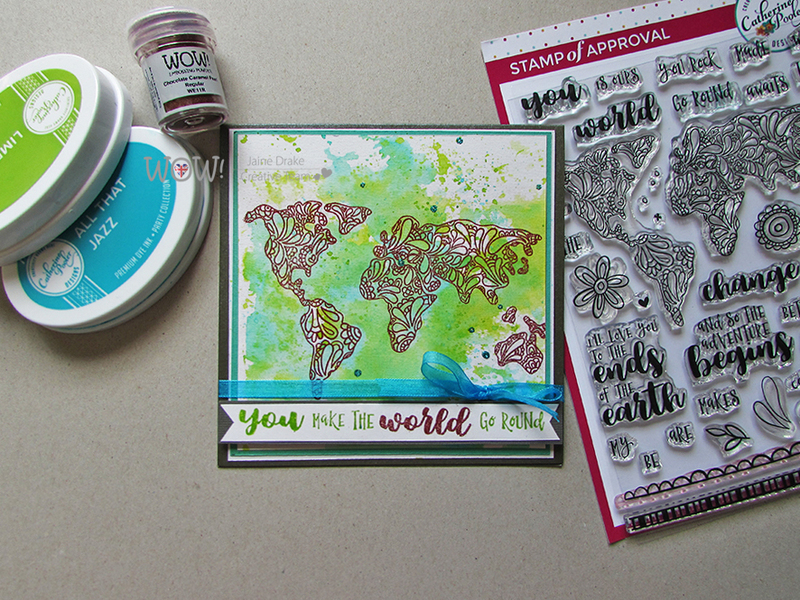 Embossing Powder and Studio Katia Collaboration Blog Hop! Our Design Team members are sharing their creativity with you through stunning and inspiring projects they created using fabulous products from these two amazing companies. Be sure to check every stop on the way to enjoy all the inspiration we have for you and for your chance to win some fabulous prizes! And what have I made? Well, let me show you. 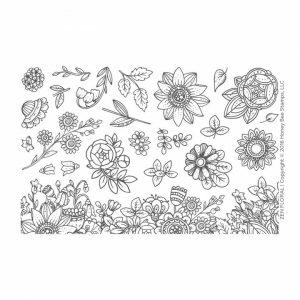 I was very kindly sent a beautiful tea themed stamp and die called ‘A Cup Of Thanks’ which was crying out for some gorgeous colouring. 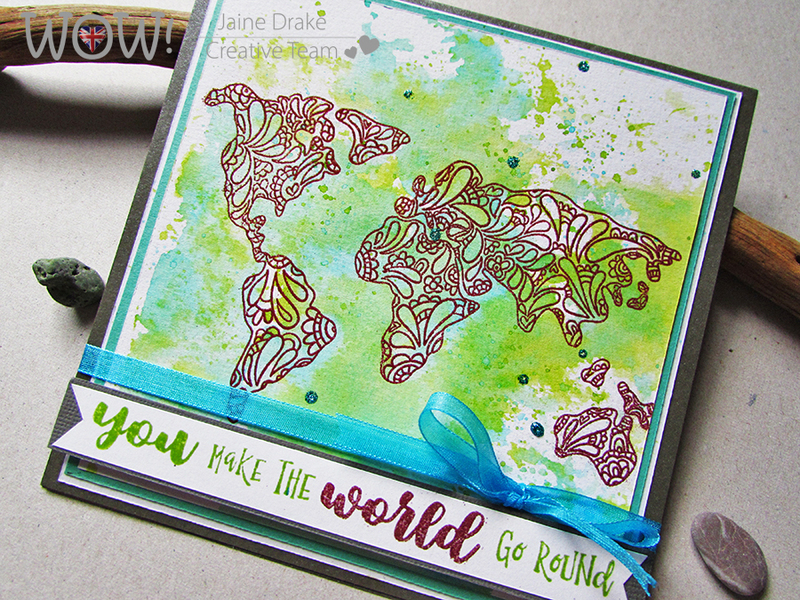 I embossed the image with Oasis powder before choosing my colours. Even though the image would have looked lovely in glorious colour, I thought it best to stick to just three colours so it wouldn’t look too busy. 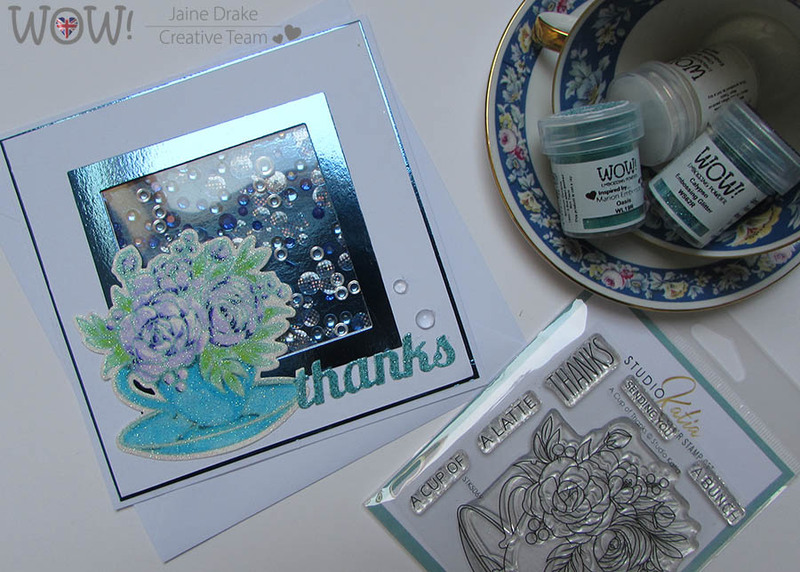 In the package, I also received some fabulous little packets of sequins and beads which gave me the inspiration to make a shaker card. 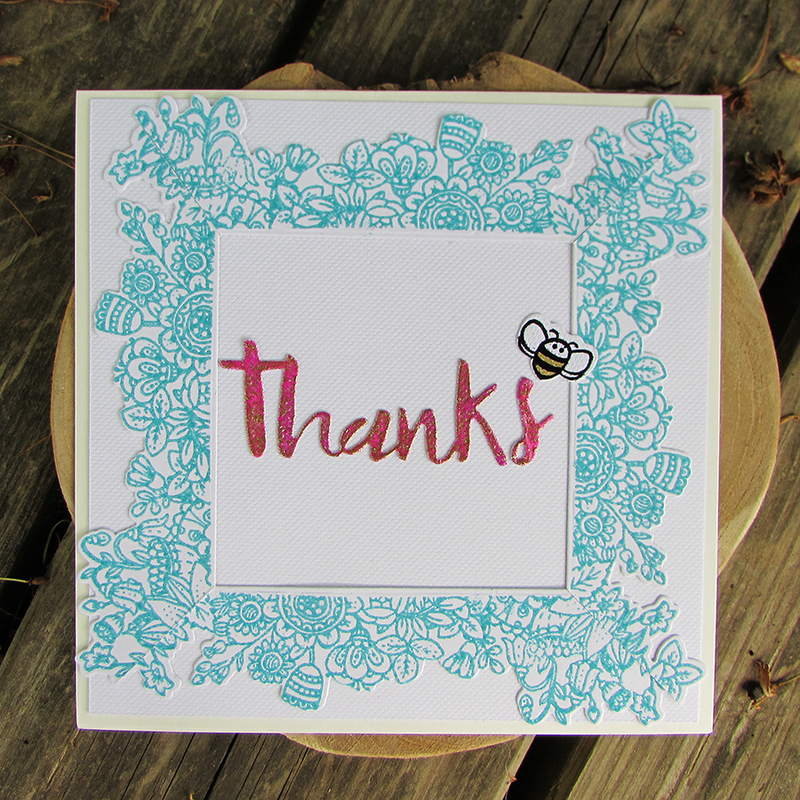 The ‘Thanks’ is also part of the teacup die set from Studio Katia and once cut I gave it a coat of Calypso Embossing Glitter. 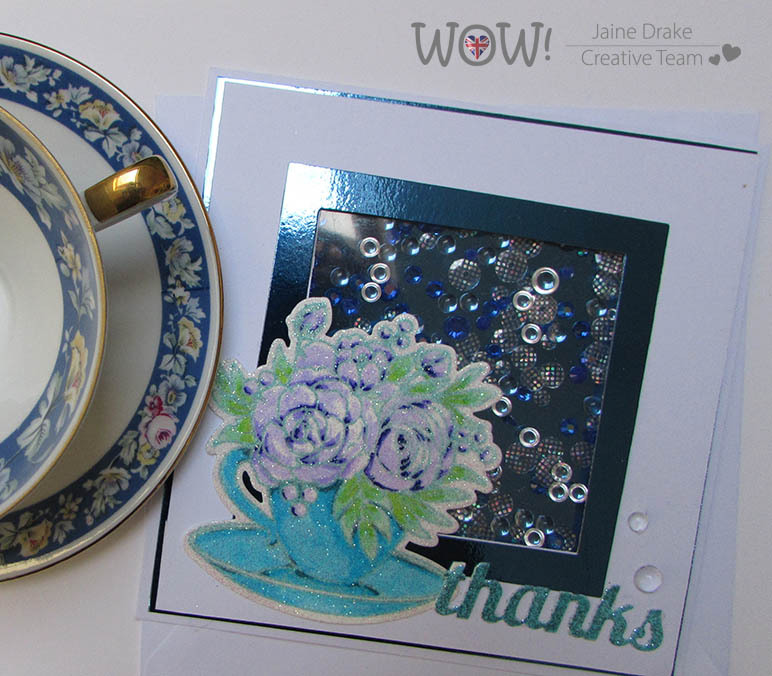 After colouring my teacup, I over inked with the Embossing pad and sprinkled over Clear Sparkle to give it a lovely glittery look. 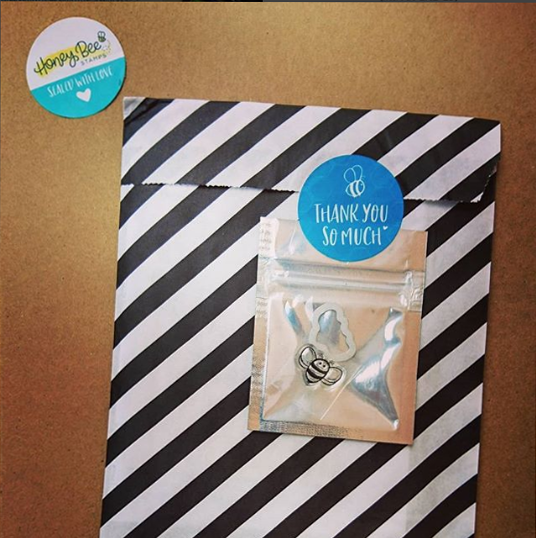 It would make a lovely thank you to go with a little gift at Christmas, maybe make a tag to match perhaps? July is here and the weather is just glorious for the moment. I’m working outside as much as possible on our little shady terrace which has a wonderful view of the garden and endless inspiration for sketching, painting and planning. I must have had a summer vibe going on when I made up this mini album. I’ll be taking part in a small hand craft market coming up in September so I need to build up some stock for my table. 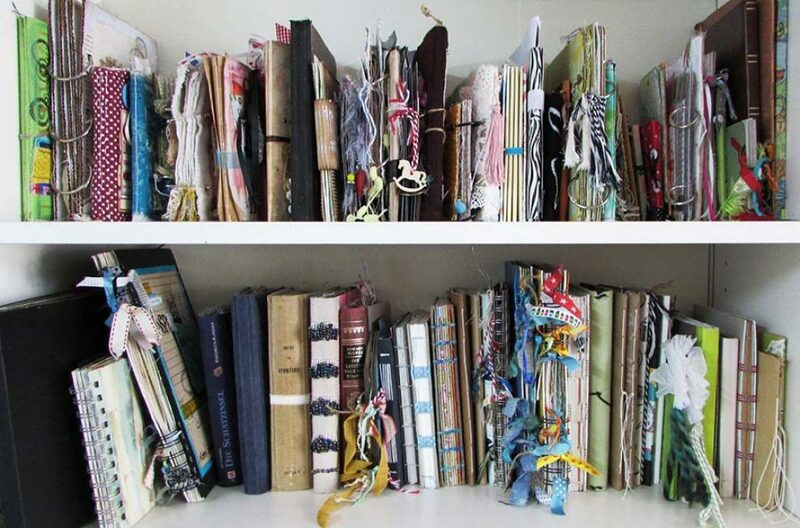 I’ll be selling photo albums and felt creations for starters. I’ve lots of other ideas in my head but it remains to be seen if I actually get around to making them a reality. 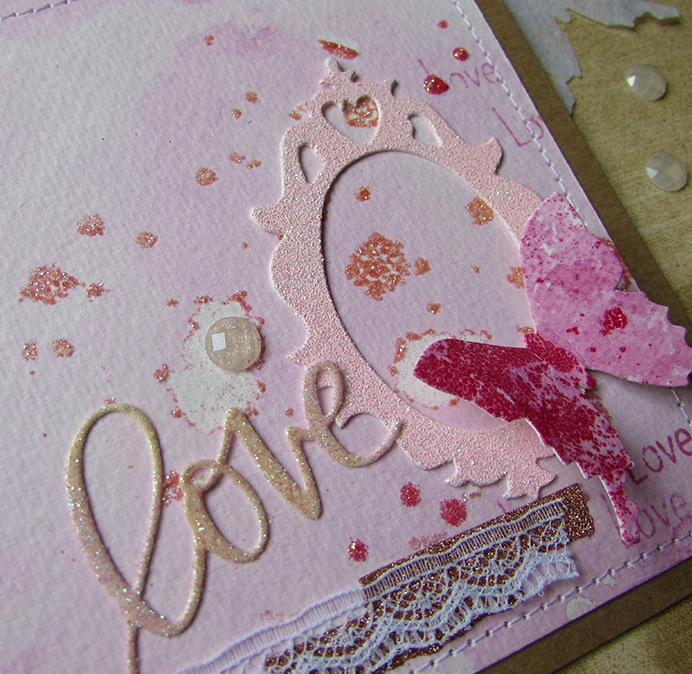 It’s also my piece for the WOW Facebook Challenge this month where the new theme is Embossing Glitter. Hello there, I hope you’re all good and ready for another week of fun and inspiration. 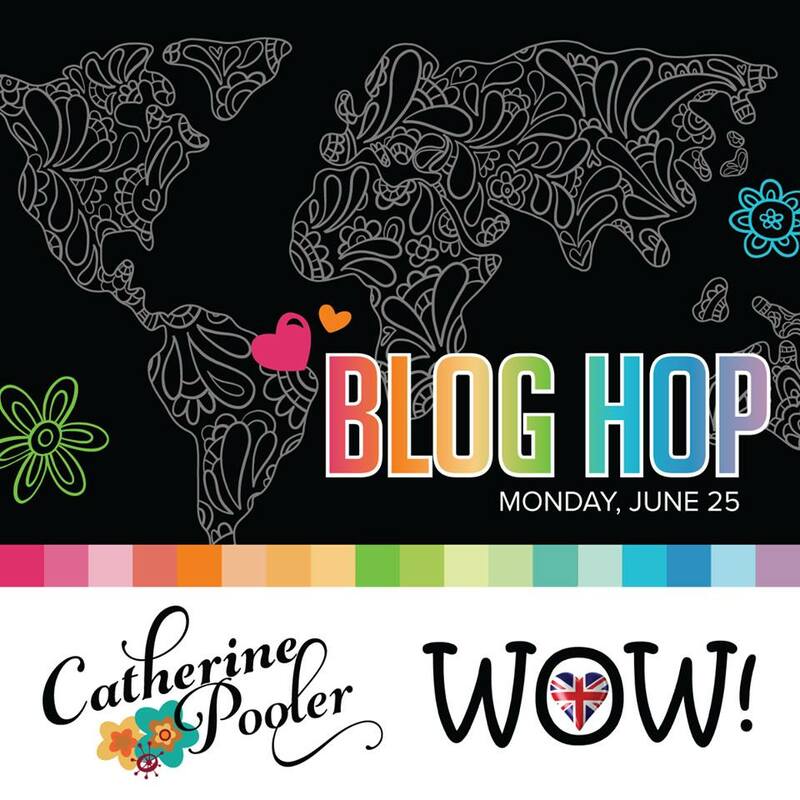 Today marks the start of the blog hop between WOW Embossing powders and Catherine Pooler and I’m totally thrilled to be part of it. 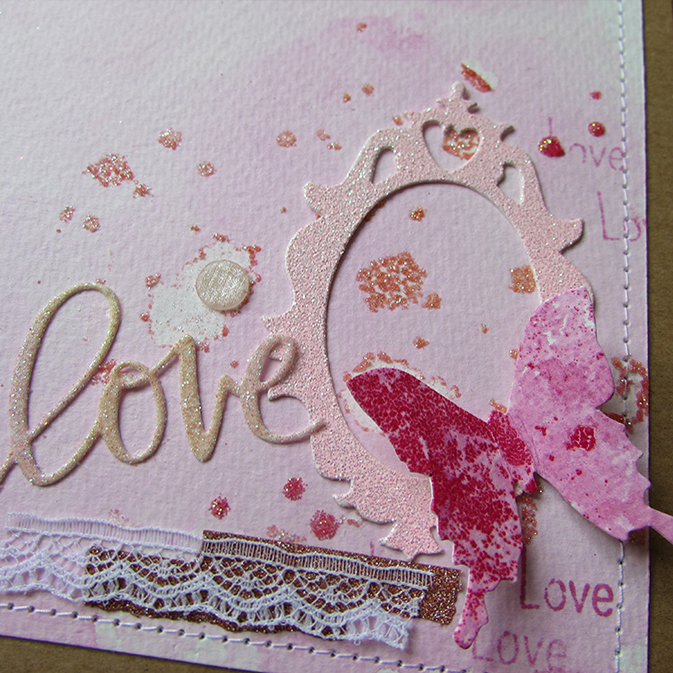 I fell in love with this stamp from the “Love Is In The Air” set the minute I set eyes on it as it’s just gorgeous. 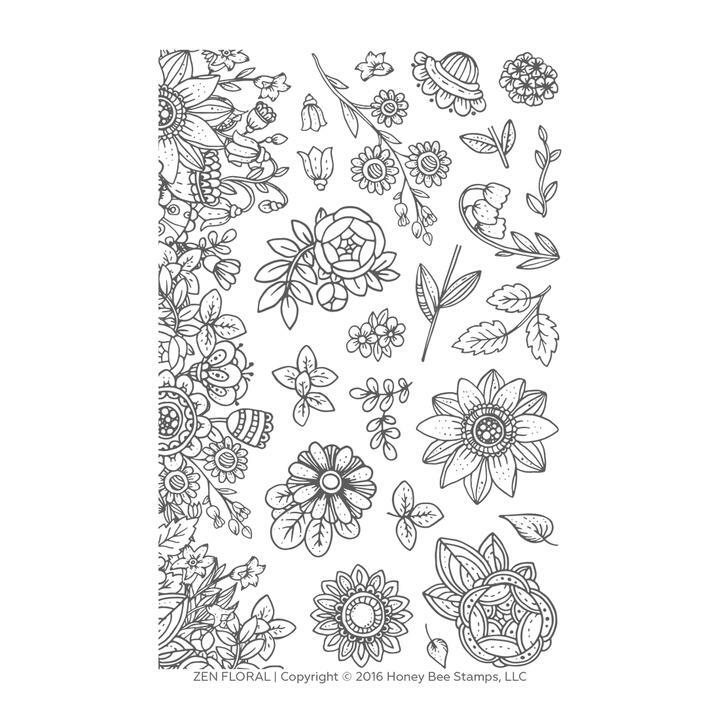 I can see it’ll become one of my go to stamp sets in the future as it’s so virsatile. 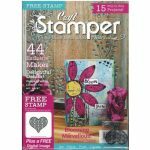 As well as the stamp set I also used two beautiful Catherine Pooler ink pads and created the watercolour background by smooshing some on my craft mat and spritzing it with water. You really don’t need much as the colour is so juicy and intense. 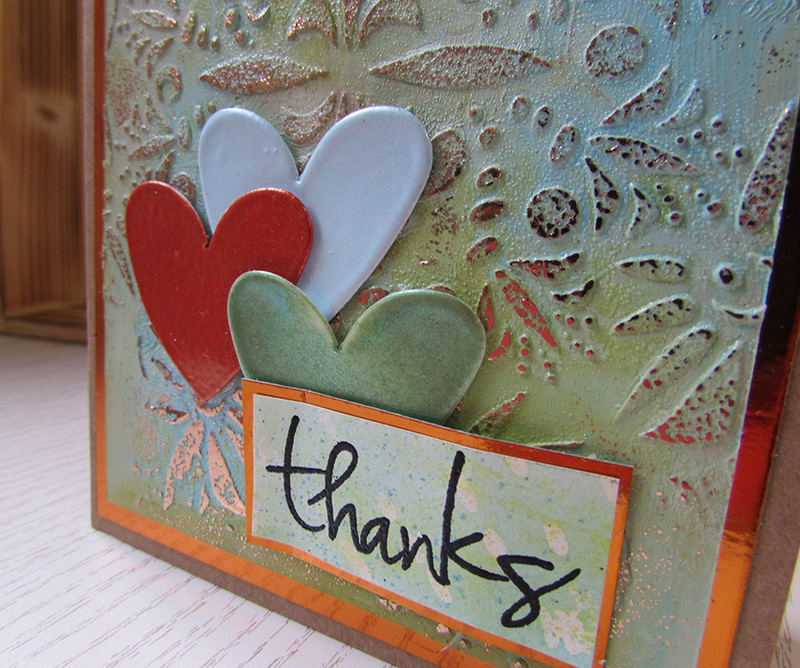 I used Chocolate Caramel Pearl powder from WOW to emboss the image and the contrast is perfect. It’s June and my wedding anniversary month, in fact it’s today. 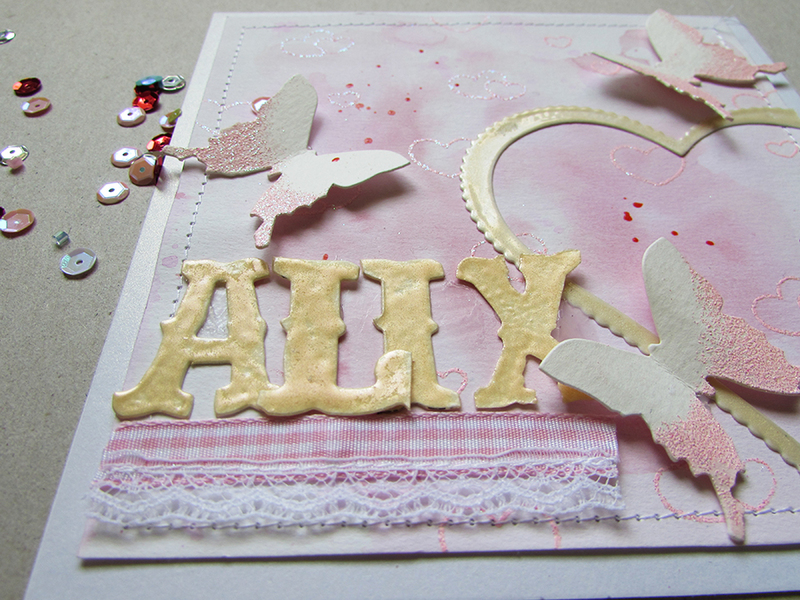 As the theme this month on the WOW Embossing Powder Fans Facebook page is anything goes I decided to create something romantic especially as June is known as the wedding month. Here’s a little close up of the detail. 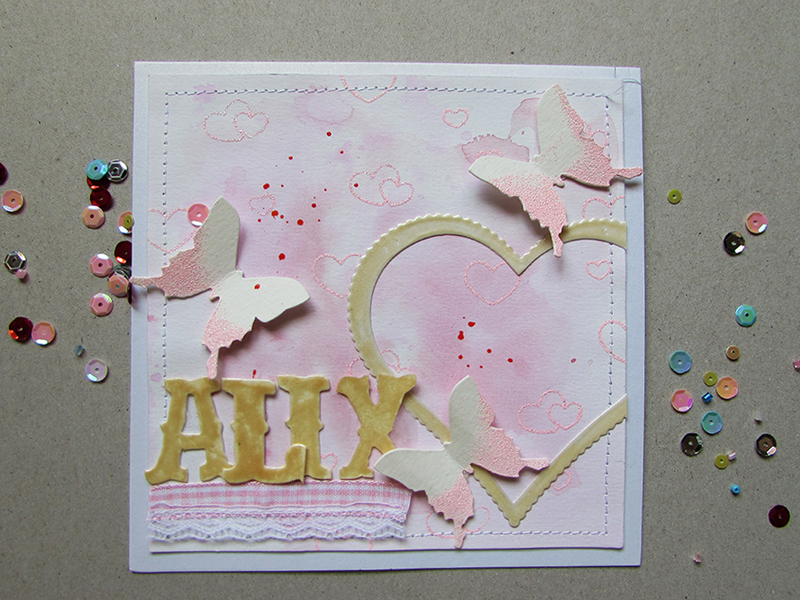 Products used: WOW Embossing Powder, Taffeta Pink and Pink Sherbert Embossing glitter, Just Saying stamp set. 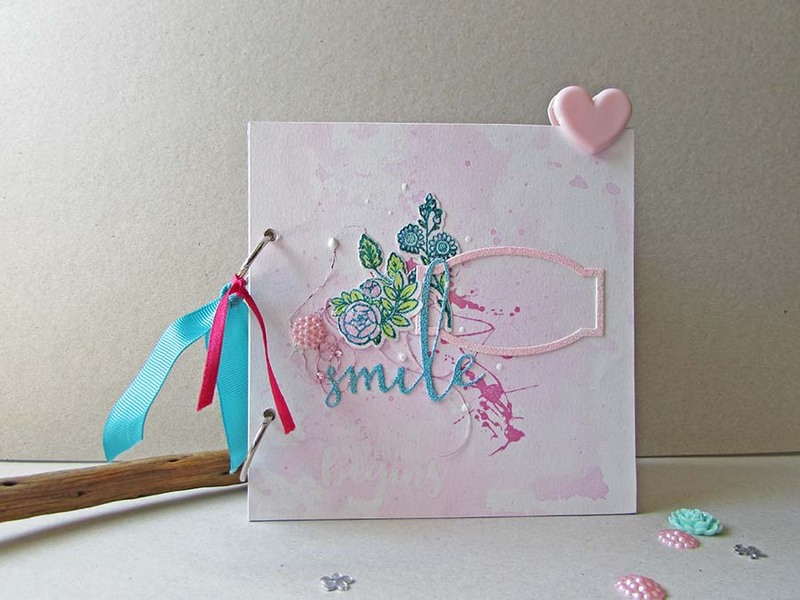 Catherine Pooler Be Mine ink pad, Pretty Pink Posh Lovely script die. To enter the challenge visit the WOW facebook page for details. I’m participating in an arts and crafts market this weekend where I’m selling my books and covers. What ever you do have a good weekend. We’re already half way through April and before you know it we’ll be in May and looking forward to Summer. That does scare me a little bit. When I was younger time seemed to drag by so very slowly I was wishing my days away but now I think it’s like being on a bob slay ride. I’ve still got lots of things to cross off my to do list from New Year and new things are being added all the time. It’s the same for all of us I suppose. We just have to make every second count and try not to waste any. The reason for the rant was because I can see from my blog that I’ve not been keeping my posts up as frequently as I should. 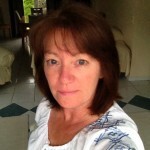 Time has been going by so fast I’ve not had chance some weeks to sit and write. Anyway, I think you’d much prefer the pretty pictures so here are a few. Last week I had a project up on the WOW blog where this months theme is Foils. 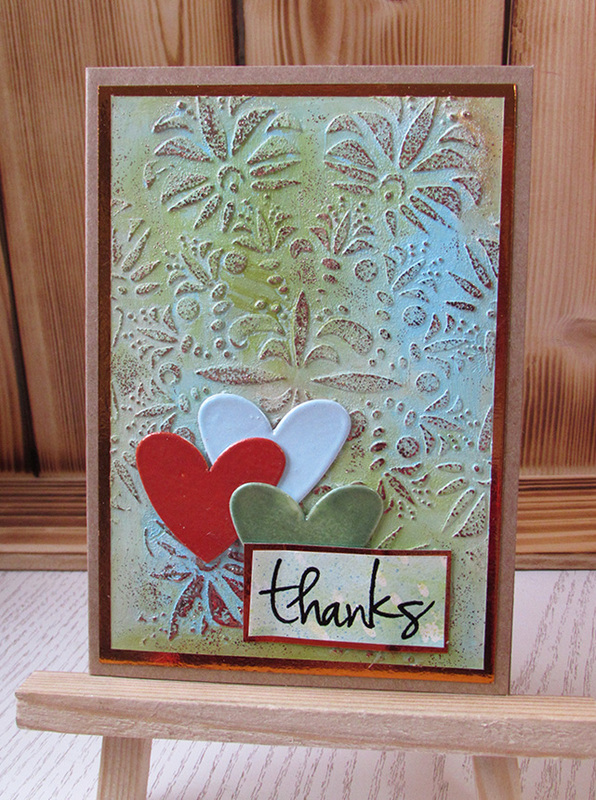 I adore using foils especially through a stencil as I did here. At the same time WOW are also running their monthly challenge over on the their Facebook group where anyone can join in with a project. 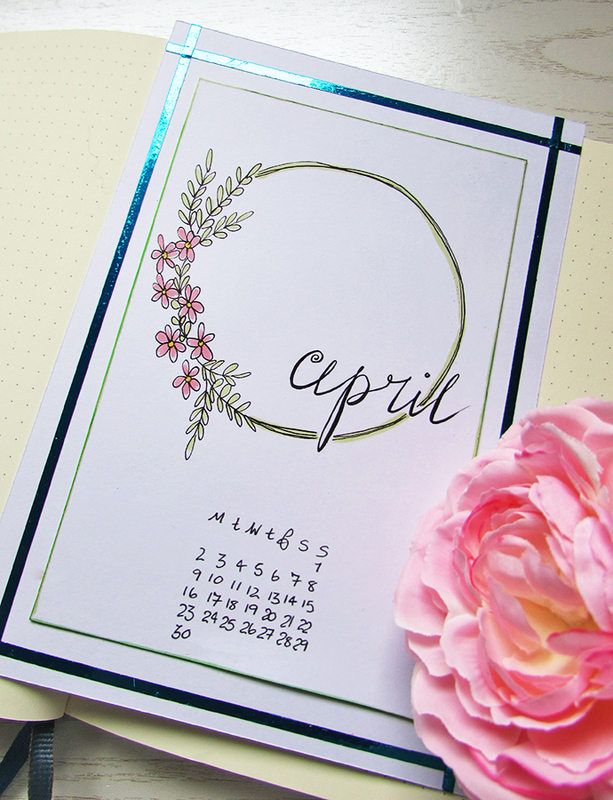 Again Foils are the theme and here I simply used the foil with some double sided tape to create a border around my April bullet journal page. I’m practicing my hand lettering too and the more I do the better it gets. Happy Saturday everyone and it’s another wet and miserable one outside. Inside however I’ve a nice smelly candle burning away, an acoustic playlist playing on the computer and I’m just going to paint and have fun. 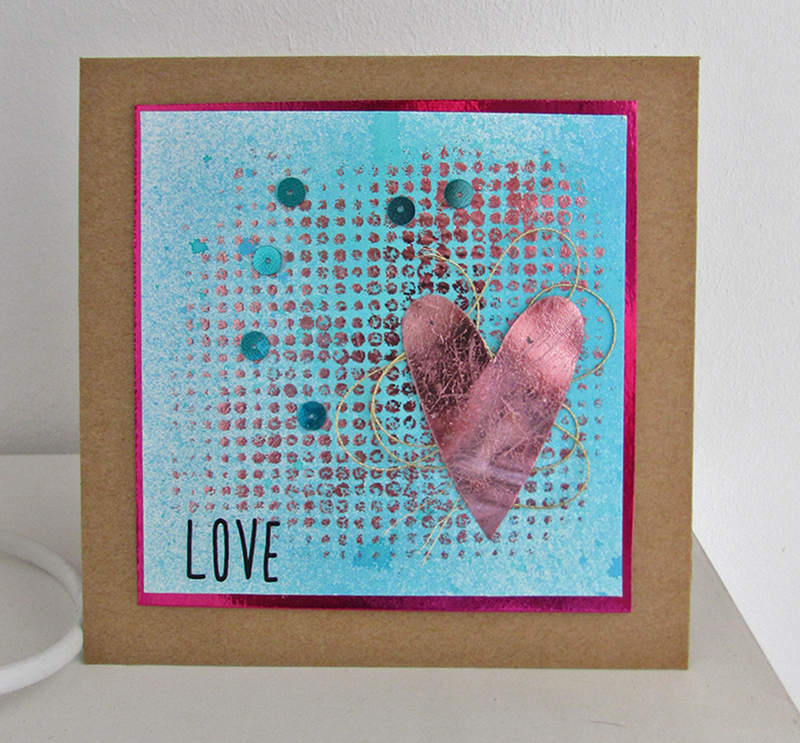 Meanwhile my first blog post is up on the WOW Embossing Powders blog today and here’s a look at the grungy card I made using the Fab Foil and some of the new colours coming out this season. This Rose Gold foil is my favourite so far I think but that could very well change over the coming weeks and months. If you want to see how I made it then click on the logo below which will hopefully take you there.